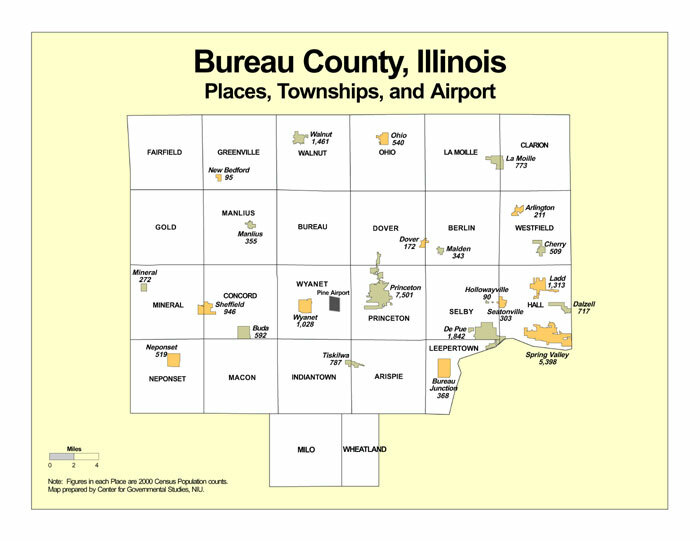 Bureau County is located in the U.S. state of Illinois. Its county seat is Princeton. The county was created on 1837 and originated from Putnam County. The name of the county comes from Pierre de Beuro. The links directory provides suggestions for a variety of websites to assist in your family history and genealogy research. Events: Cherry Mine Disaster, Cherry, Illinois-photos, letters, etc. Anderson Family Cemetery-18N Sec 33, Fairfield Twp. Biography of V. S. Wilcox, M.D. Biography of Henry Miller, Sr. Biography of J. Louis Griswold, M.D. An Agricultural Poem-Delivered before the Bureau County Agricultural Society, October, 1859, by Owen Lovejoy M.C.